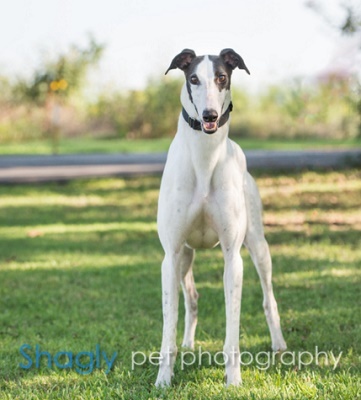 Sister, aka Pat C Stepsister, is a 3-year-old white and black female born August 17, 2013. Her sire is K's Roadmaster and her dam is Pat C Sis In Law. Sister has 46 races on record in Florida from 2015 to 2016. Her career ended with an injury that has since healed. She has not been tested with cats or other small animals. 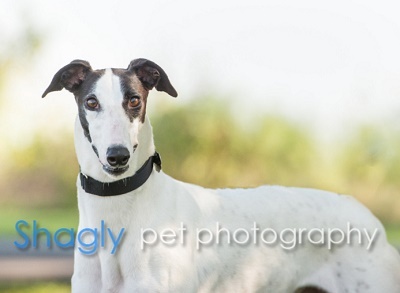 Sister was part of the Greyt 32 Arrival!